Soft, medium or firm mattress? Getting the right tension, or firmness, for your mattress, really is the first thing you need to establish, and not all mattresses are the same. 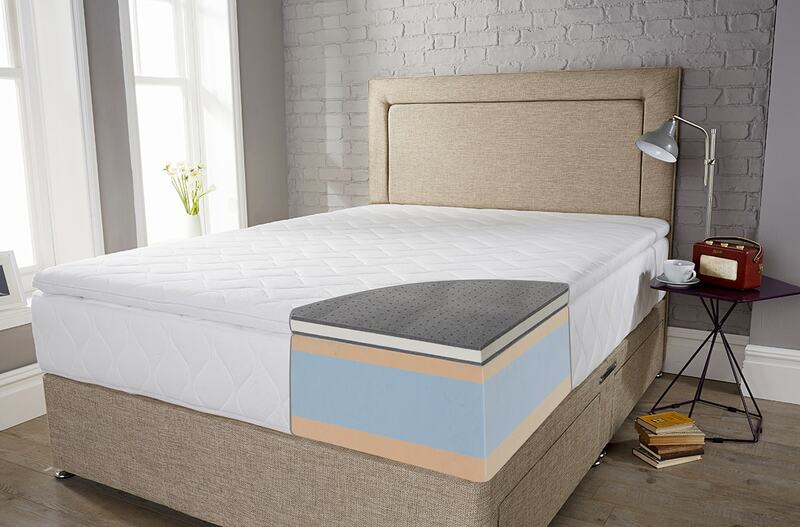 It’s often badly described by mattress retailers but theres an easy way to ensure you get the right support and comfort from your mattress. Our handy guide will explain what the bed retailers dont want you to know! Firstly, in the mattress industry, there has to be a precise definition of soft, medium or firm which there isn’t. One person may find one mattress soft and another person may find it firm. This is because most of the time the retailers are using the spring tension to explain the relative firmness of the mattress which is incorrect. The best way to choose what firmness of mattress you are looking for is to identify what spring tension your bodyweight requires and then pick the comfort layers and how they will feel. Alternatively, why not call our friendly team who can help explain which mattresses will be suitable for you based on a few simple questions. What’s the best medium feel mattress? What’s the best firm mattress model? 1. What spring tension should I choose? Spring tensions of a mattress are usually described as soft, medium or firm. This gives the illusion that the mattress itself with feel this way. This is incorrect. These three tensions are directly linked to your bodyweight on the mattress. In a high-end mattress, different spring tensions will be available. What about standard spring tensions? If you’re looking at an entry-level mattress with only one spring tension it is usually a 1.4 gauge wire on the medium side. This is because it suits the largest number of sleepers. The support from all similar spring foundations is relatively the same, particularly if the same spring gauge (thickness of wire) is used. Your bodyweight plays a huge part in choosing the right mattress. Without considering this you are simply guessing. A light person will find an orthopaedic mattress rock hard, whereas a heavier person may find it just right. So what kind of mattress would be chosen for the heavier person who is asking for a firm mattress believing that this would be the only option for them? This is where the expertise of the retailer should come into play. 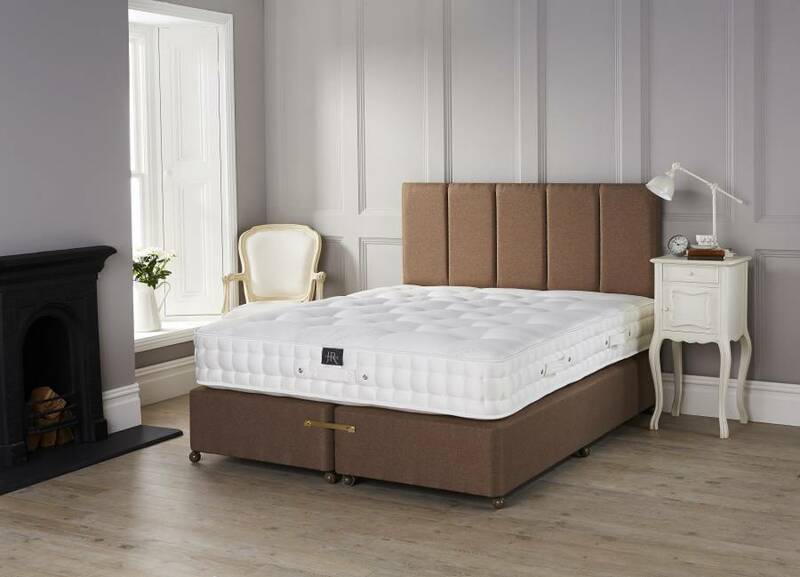 For us, we know exactly what mattress would be entirely unsuitable for a person with a body weight of say 18st and equally, we also know what would be entirely suitable. More so than the customer. We know which materials would be more durable, we know what spring type would be more supportive for their weight, we know whether a particular mattress would be better if an additional layer of wadding was included/replaced and so on. It really should not fall on you to make a decision based purely on the mattress you want to replace. You need to know all the viable alternatives. Another thing to bear in mind is that mattress tension is also relative to the size of the mattress a single mattress will be firmer than a double mattress, a lot firmer than a king size and much firmer than a super king, and of course vice-versa. The bigger the span of the mattress the ‘softer’ it will feel. So going out to buy a mattress bigger or smaller than the one you are looking to replace will have a direct influence on the mattress tension. As if that wasn’t enough there is also the fabric to consider. Mattresses that have a final layer of latex or foam will always have a soft knitted fabric to face the mattress. Whereas final layer polyester will usually have a damask (woven fabric) to face the mattress. When manufacturers want the mattress to have a softer overall tension, then they would use a knitted fabric rather than a damask. It does not work the other way round. A damask should not really be used with latex or foam. There is a clear misunderstanding in the bed industry about perceived firmness and support. Often the two words are used interchangeably. We can’t stress enough how these two words have very distinct meanings and are not the same thing. The support unit of your mattress is nearly always dictated by your weight and height. This is because spring units are manufactured with certain load or weight tolerances. This means they are made to take a certain amount of weight to load (compress) and unload (extend) correctly. If you imagine the force you must apply to a standard spring to compress it and then how much force is needed to be removed before it will extend, this sometimes helps understand this principle. If you, therefore, choose a spring unit that is made for a weight tolerance that your bodyweight doesn’t fit, you’re either going to end up with a firmer spring than you need, which means it won’t compress as it should, or too soft a spring meaning it compresses too far. 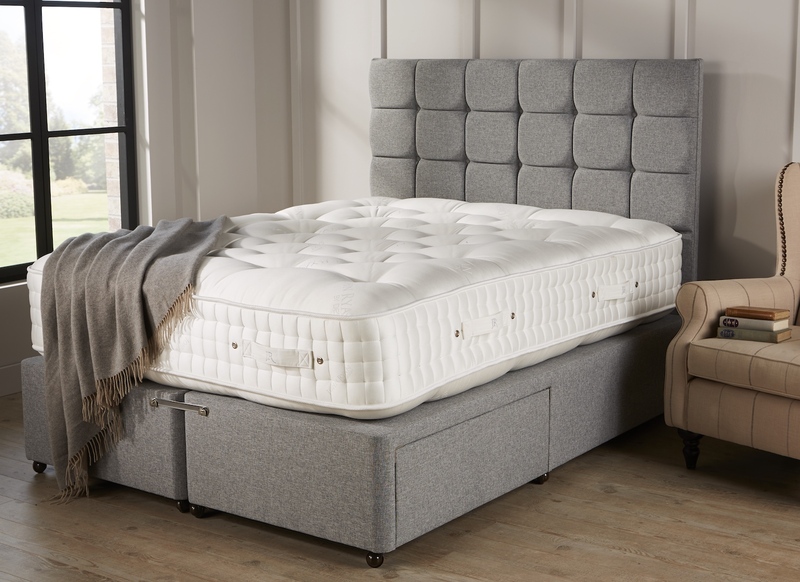 Whilst it’s your choice if you want to go for a super firm spring, it really will be overkill and prevent the mattress from accommodating you properly. It’s essential that you know the weight limit that can be applied to the spring to work out if it is going to be suitable for you. Even if you want the firmest mattress possible, a spring that is too firm ie has too wide a gauge for your body weight, will never give you proper support. You will merely rest on the top of it like sleeping on a hardwood floor. The spring units sole purpose it to compress and extend to accommodate your weight, lumps, bumps, elbows and wriggling needs. Unfortunately there is no standard soft spring tension, accepted medium spring or defined firm spring tension (with the exception of orthopedic springs which are all 1.94mm 12 gauge spring). Each manufacturer will have their own definition. Our medium springs, for example, will accommodate a 10 stone sleeper up to 16 stone in the Origins range, there is some give and take with this, such as an 8-9 stone sleeper and a 16-17 stone sleeper, but this then requires some more careful thought about the upholstery layers. You simply must ask mattress manufacturers what the spring weight tolerance is. Below we have listed our Artisan Spring tolerances, as we offer three tensions. This should give you an idea of the kind of detail you require. With this, there are exceptions which are rare, so if in doubt please get in touch with us. 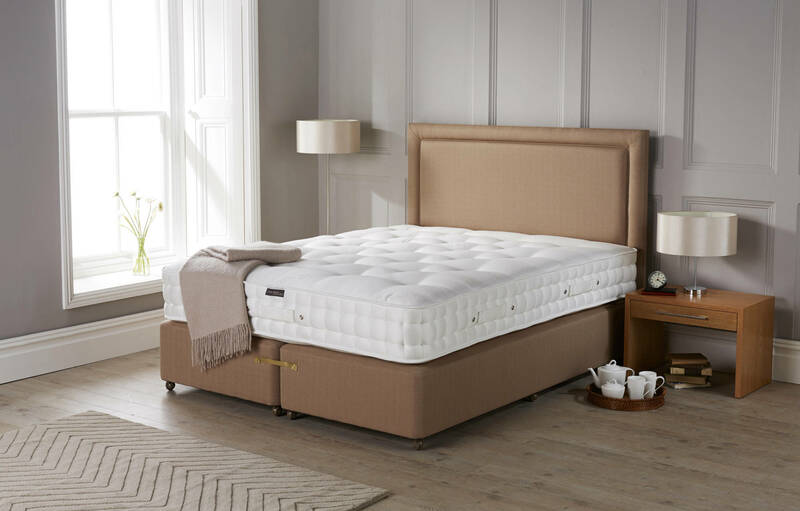 Once you’ve established if the spring support unit is suitable for you, then the mattress upholstery layers on top of this spring unit will give you a better idea of the ‘perceived overall firmness’. These are also known as the comfort layers of a mattress. 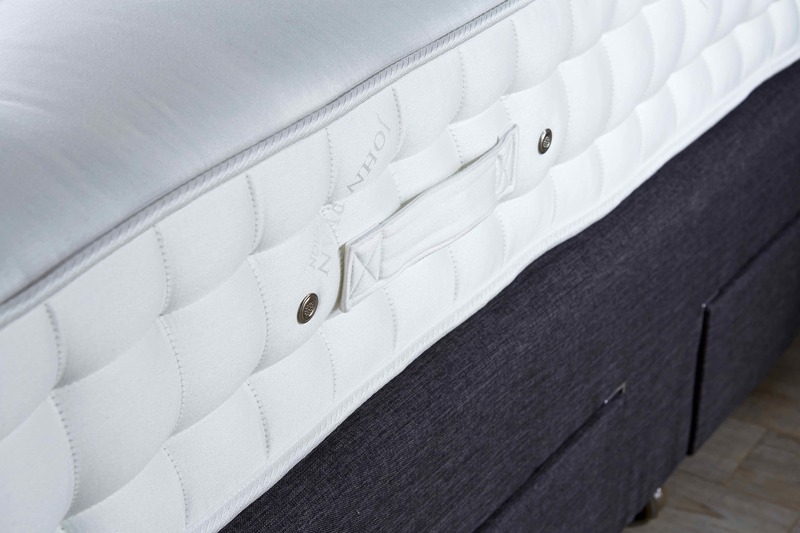 The upholstery layers provide the choice you have to decide what perceived firmness you require from your mattress. This is where the real choice lies. 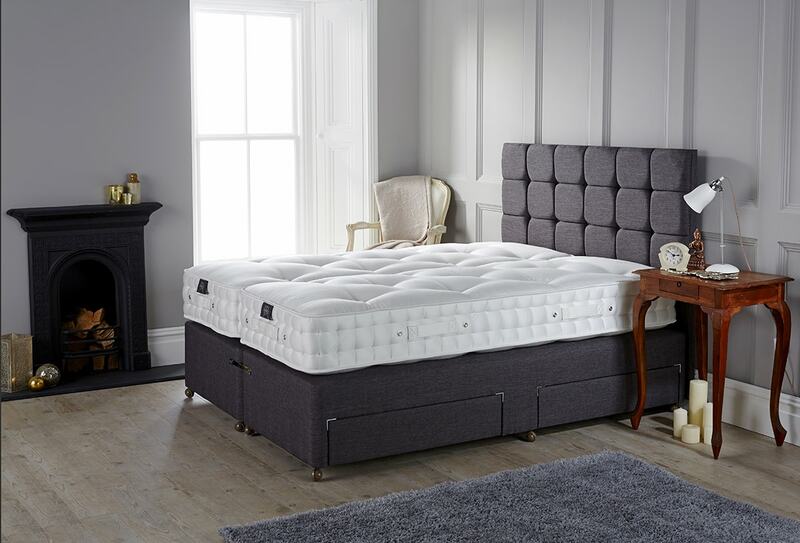 You can have two medium tension springs, suitable for say a 13 stone sleeper, in two mattresses but topped with different upholstery layers will give one say a medium feel and one a much softer or firmer feel. This is where you need to apply all your knowledge to work out how the top layers of the mattress will feel. Foams for example in our Origins Reflex give a firmer feel in the upholstery layer. 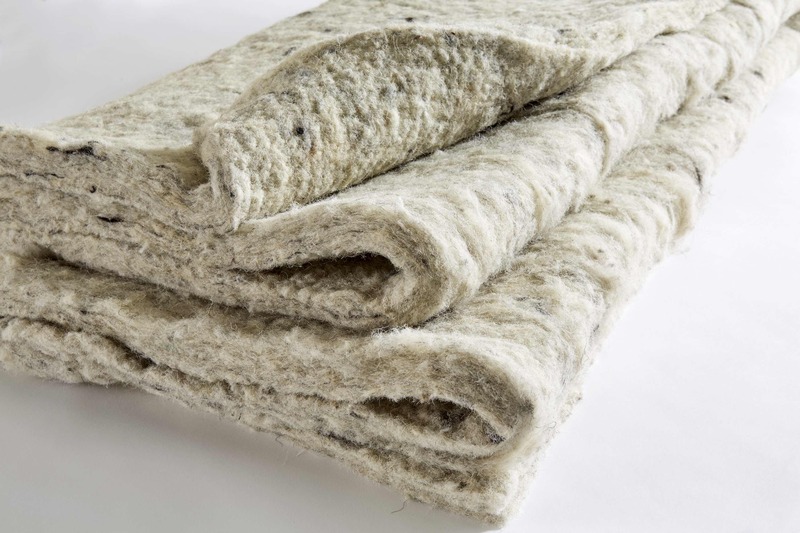 British fleece wool and cotton in the top layer of the Artisan Luxury will give a really soft feel to the mattress. 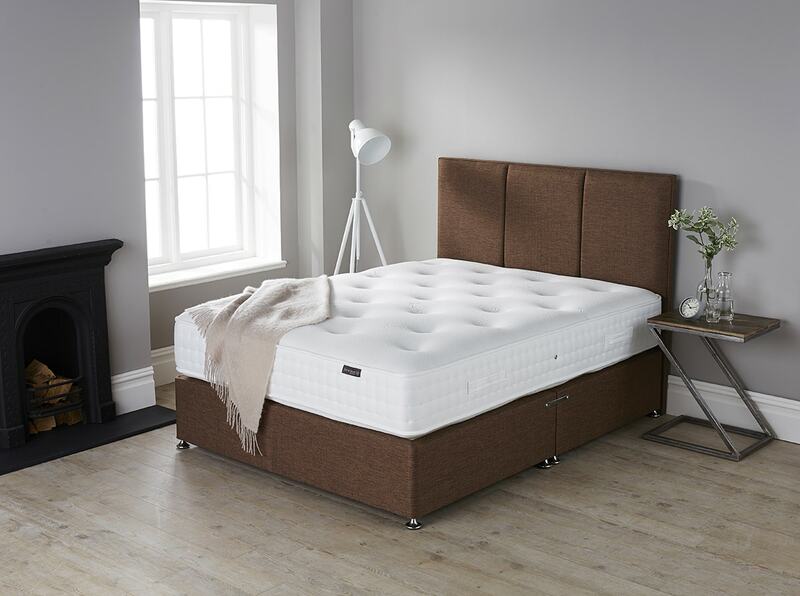 Yes, the support unit plays a part, but this is really set by your weight, whereas the upholstery can give you the option of either a softer or firmer feel in the top layer, the layer you’re immediately lying on. Each of our product descriptions in the shop gives an idea of how the mattress will feel for your bodyweight. At present, we believe we are the only retailer to do this. Below is an example for the Origins 1500 mattress and what the perceived firmness will feel like. What is your softest mattress? We have two soft mattresses in our ranges. These are the Origins Comfort 1000, our entry-level pocket spring model and then our Artisan Luxury handcrafted calico pocket spring model. These have really soft upholstery in the top comfort layers ensuring that deep sink and soft feel. What are your medium mattresses? Our medium feel mattresses are the Artisan Naturals, Artisan Bespoke 004 & Artisan Bespoke 003. These all have incredibly deep comfort layers using fibres that provide a medium feel in the upholstery layers. All of these mattresses are available in either a soft, medium or firm spring tension which is dictated by your weight. What is your firmest mattress? Our Artisan Bespoke and Resilience models are out firmest models. The Artisan Bespoke is a handcrafted calico pocket sprung model whereas the Resilience range is a foam based contemporary model. Bear in mind these are generals and your weight plays a part in how firm you will perceive these. There are some people who really do prefer a rock hard mattress (ultra firm) or an all-engulfing ultra soft mattress. If this is you, then let us know your preference, making it easier for me to select a product within your price range that will be suitable for you. 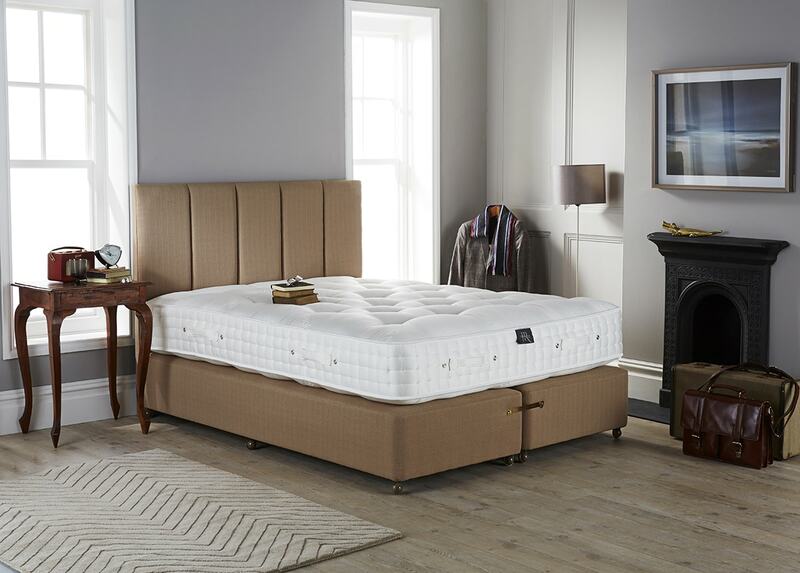 Our resilience range is our firmest mattress we sell and is ideal for either people over 18 stone or lighter sleepers who want a super solid but two-sided mattress. We repeat what we say in the post what-can-you-expect-for-your-money that initially you should be looking for the best combination of components you want that your money can buy, rather than whether it is soft, medium or firm. Our expert team can assist you in calculating what spring tension you require for your body weight and how the upholstery layers will feel so get in touch for tailored help. 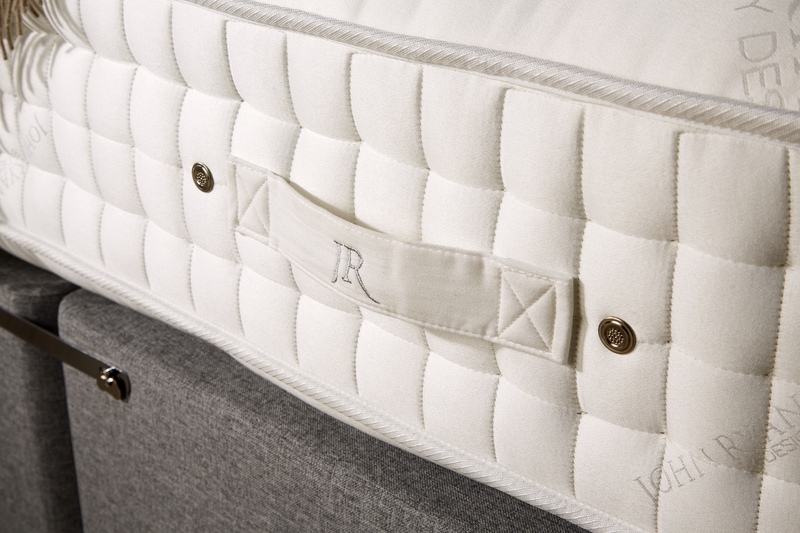 If you are lucky enough to have a budget in excess of £5000 then you could have a hand built mattress tailor-made to your exact requirements composed of the best available fillings and finest materials like the John Ryan Legacy. Can Just One Mattress Really Suit Every Single Sleeper?